One way or the other Anurag Kashyap is always in the news. Be it his tiff with the censor board of India or his unconventional films, this 44 year-old director and producer always grabs the limelight. But this time it is not about any of his films or CBFC. It’s all about his love life. Yes, you read it right. 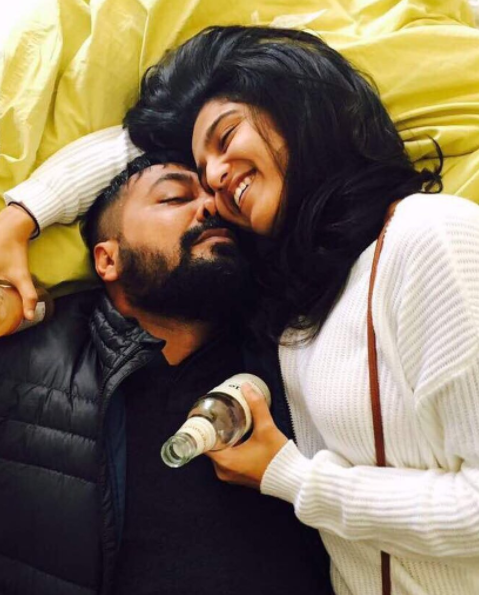 Anurag Kashyap is currently in love with a 23 year-old girl named Shubhra Shetty. Anurag has shared her pictures on his official Instagram account. In of the pics, the two are enjoying their moment, cuddling each other. Anurag has captioned it ‘Love’ with a heart emoticon. Anurag’s lovey-dovey pictures are doing rounds on the internet and speculations have increased mainly because Shubhra Shetty is more than 20 years younger than him and just a little older than Anurag’s daughter Aaliyah Kashyap. Well, as they say love has no age! It is to be noted here Aaliyah is Anurag’s daughter from his first wife Aarti Bajaj and the couple had divorced in 2009. The same year Anurag Kashyap started dating Kalki Koechlin on the sets of Dev. D and they eventually married. However, that didn’t last long and the wedlock broke when they announced their separation in 2013. It seems there is no dearth of love in Anurag Kashyap’s life. Neither Anurag nor Shubhra have gone on record as of yet to officially announce their relationship. But it’s obvious that love is in the air. If rumours are believed to be true then Shubhra Shetty is in-living relationship with Anurag Kashyap.